In this review we look at the best Sony speakers that deliver crystal clear sound quality with crisp highs, detailed midranges and deep bass. These speakers are designed to be portable and lightweight and have built-in batteries that deliver long hours of continuous music playtime. Our experts have tested over a hundred different Sony speakers to determine which ones are the best value for money. Furthermore, these Sony speakers are capable of delivering loud volume output without any distortion and have a portable design to make them easier to carry around. If you are looking for the best Sony speakers that will impress you with quality audio, be sure to check out our top picks below! The Sony SRS-XB31 is a powerful portable wireless bluetooth speaker. It has nice music quality and volume (it can go really loud) as well as powerful bass. The “extra bass” feature can be used to enhance the low end. Its live sound mode uses unique speakers to give a three-dimensional music festival atmosphere. It features both waterproof and dustproof IP67 design that protects it and allows for outdoor use under wet conditions. It has long battery life that can last for up to 24 hours. 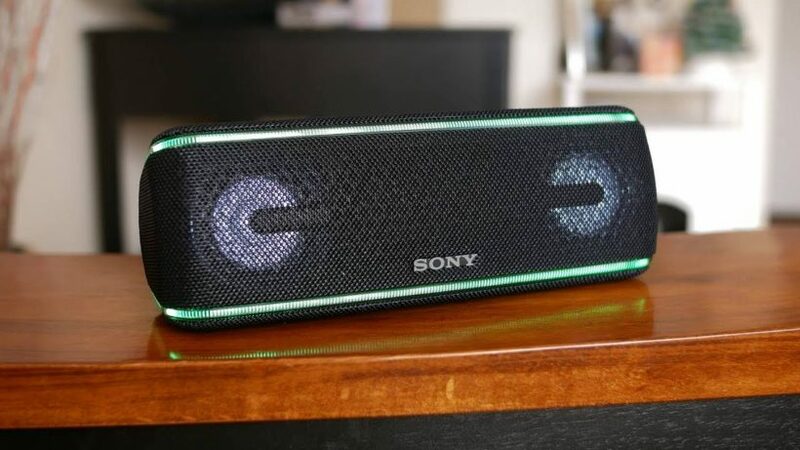 The sound quality of this Sony speaker is incredible, with rich highs, crisp midranges and deep bass that makes listening to electronic dance music and rock very enjoyable. 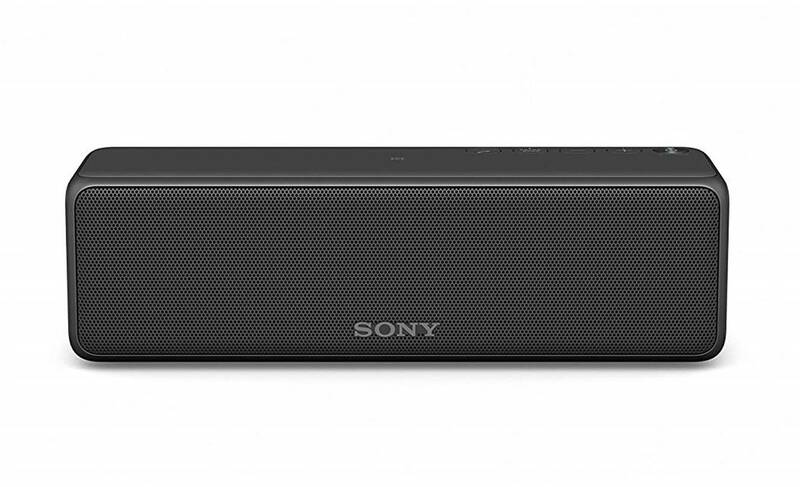 The Sony SRS-XB31 comes in plain black color and features lightweight and portable design. It is made out of high quality materials and has robust build quality. You can add an extra speaker for stereo sound. Additionally, there is the possibility for the user to connect and add more speakers (up to 100) using Wireless Party Chain in order to fill a big space with sound. A multicolour line light and flashing strobe is also featured, allowing you to create a party atmosphere. A USB cable to power the unit is included in the box. On the whole, the Sony SRS-XB31 is suitable for anyone who needs full and bass heavy sound and wanting to interact with the speaker. The Sony XB10 is a portable wireless speaker that delivers premium sound quality with nice bass response. It allows you to connect and stream music from your smartphone, tablet or any smart device both with Bluetooth connectivity and easy-to-use NFC. Its “extra bass” function enhances low-end response using a passive radiator that works with the internal speaker, allowing it to boost the bass frequencies despite its compact size. It covers the whole audio spectrum, ranging from 20 to 20.000 Hz and it has a sampling frequency of 44.1 Hz. There is the option to connect two wireless speakers for stereo sound. Its small and lightweight design makes it very easy to carry. The Sony XB10 speaker is compatible with A2DP, AVRCP, HFP, HSP profiles and delivers crystal clear sound that gets pretty loud despite its small size. The frequency range on this speaker is a wide 20 Hz to 20 kHz. Featuring water-resistant design, this Sony speaker is suitable for listening both indoors and outdoors. It comes in plain black color and has sleek and modern looking design. The long battery life that covers up to 16 hours allows you to listen to music all day. The materials that have been used ensure robust build quality and durability. Overall, the Sony XB10 wireless speaker is an easy to use and powerful portable speaker that can be used on every occasion and provide you with premium sound quality. The Sony SRSXB30 is a portable wireless speaker with a lightweight and portable design that can be carried everywhere, allowing you to enjoy listening to music in all conditions. It comes in plain blue color and has water-resistant design in order to use it everywhere It features both NFC and Bluetooth connectivity and the latter is enhanced with LDAC that offers a superior wireless listening experience. The speaker has up to 24 hours of battery life and the voice feedback function tells you the remaining battery level and when it’s time to recharge. It also features a multicolored line light and a flashing strobe to build a party atmosphere. The sound quality of the Sony SRSXB30 is loud and crystal clear, with good bass beats that add lower-frequency range response. The Extra Bass button enhances the low end, giving bass a boost. Another feature of the SRSXB30 is the ClearAudio+ technology which automatically adjusts sound settings for an enriching listening experience. There is also the option to add an extra speaker for stereo sound, or even connect and add more than one speaker with Wireless Party Chain technology that can sync all the connected speakers.You can control the speaker easily with the SongPal app through your smartphone and manage both the music and lights. Overall, the Sony SRSXB30 is highly recommended to anyone looking for a portable and powerful speaker. 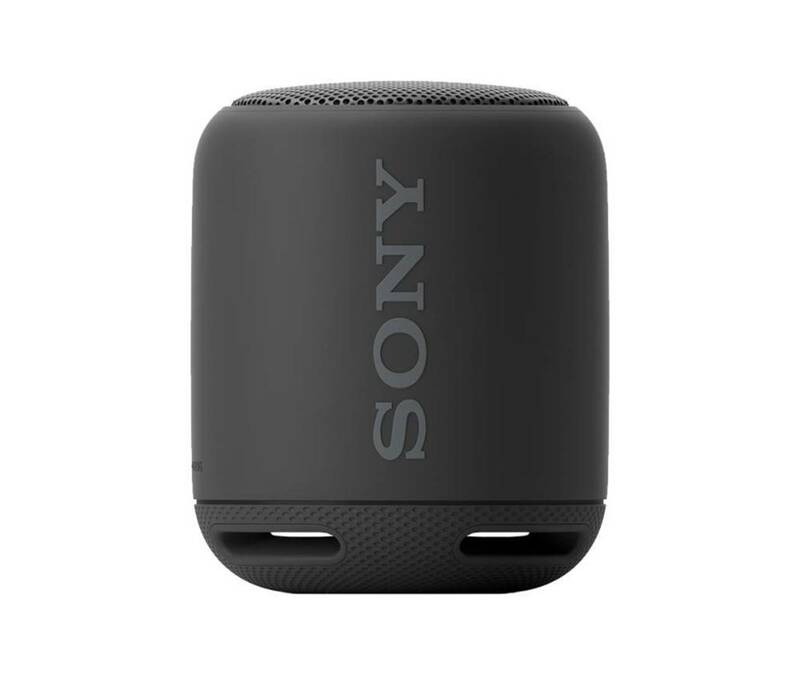 The Sony XB20 is a portable wireless speaker with both NFC and improved Bluetooth connectivity. It delivers premium audio quality and features a bass boost option thanks to dual passive radiators that work together with stereo full-range speakers to enhance the low-end response. Its ClearAudio+ technology makes it able to optimize audio to deliver a consistently clear, high-quality sound. The XB20 speaker features lightweight design and thanks to its compact size and water-resistant design, you can carry it everywhere and enjoy your music in all conditions. It has up to 12 hours of battery life and the voice feedback function warns you about the time to recharge. It comes in blue color with a single-colored line light.This speaker supports and connects to devices with Bluetooth and NFC automatic pairing, with LDAC for high quality music transmission. The sound quality on the Sony XB20 is excellent with decent stereo sound output and decent bass levels. The SongPal app lets you manage your music as well as the lights quickly and easily from your smartphone. If you need stereo sound, you can add an extra speaker and there is also the option to connect and add more speakers with Wireless Party Chain. This function allows you to connect up to 10 wireless speakers via Bluetooth and synchronize the music and lighting. 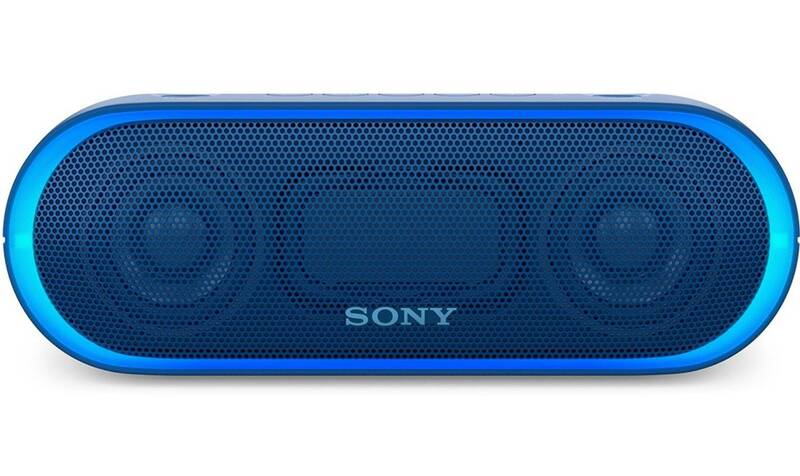 Overall, the Sony XB20 is a highly recommendable portable speaker that is suitable for every occasion. 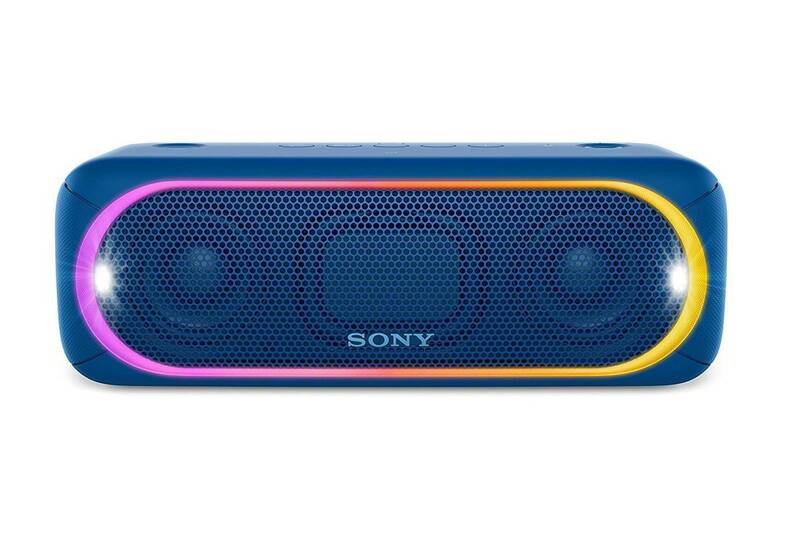 The Sony XB01 is a bluetooth compact portable speaker that is really small and can fit in your hand. It’s one of the best Sony speakers you can find on a budget. Despite its compact size, it can deliver really big sound and it also features an extra bass fuction, for audiophiles that prefer boosted low end. The speaker features splash proof design that protects it from any liquid that may fall on it. The battery life ensures up to 6 hours of playback on a single charge. It features sleek and modern looking design, while its materials ensure both sturdy build quality and portability. Despite the XB01’s small and compact design, the sound quality is exceptionally clear and refined. It comes in light blue color and also has a handy matching strap that makes it easy to stay on the move. Additionally, the speaker features a built-in microphone that lets you take hands-free calls without the need to take your phone out of your pocket. Controlling your music is easy with the on-speaker buttons. Operation instructions, reference guide, card, warranty, a strap and a micro USB cable are all included in the package. On the whole, the Sony XB01 Bluetooth Compact Portable Speaker is an easy to use speaker with a lightweight design that would be recommended to anyone looking for something light and small to carry around and enjoy loud music. 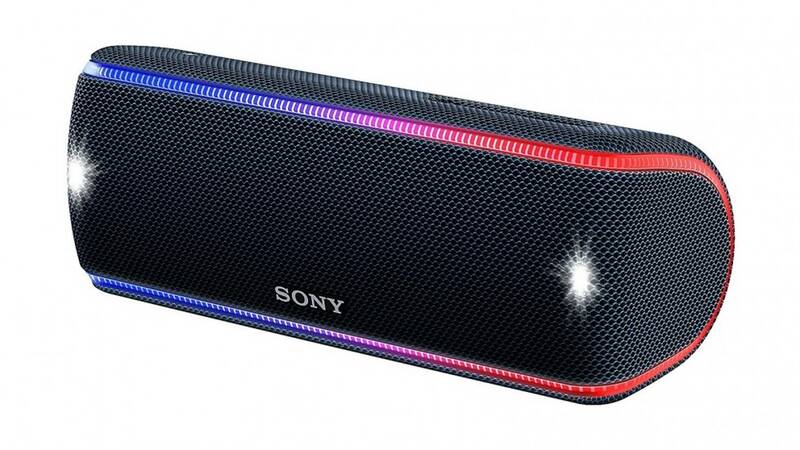 The Sony XB40 is a powerful wireless speaker with speaker lights that features both NFC and improved Bluetooth connectivity to connect and stream music easily. It features IPX5 water resistant design that allows it to be used both indoors and outdoors. An “extra bass” button is featured, in case you want to boost the low end. In addition to that, its ClearAudio+ technology is able to optimize audio to deliver a consistently clear, high-quality sound, whether you’re enjoying music, movies or games. A multicolored line light, speaker lights and a flashing strobe are included in the speaker and allow you to see and hear the beat. The sound performance of the Sony XB40 impressive, clear and loud – it has enough volume to fill up a large party with music. The bass output is very strong and adds a good layer of lower-end frequencies to music performances including rock and pop genres. The speaker is able to pair easily with Bluetooth, NFC and LDAC for high-quality music transmission. You can add an extra speaker for stereo sound or connect and add even more speakers with Wireless Party Chain technology, if you want to fill bigger spaces. The Sony XB40 has long battery life and can run up to 24 hours with a single charge. You can control it using both SongPal, that lets you take control of music, lights and more and Fiestable, with which you can take charge of playback, speaker lights and DJ sound effects all from your smartphone. 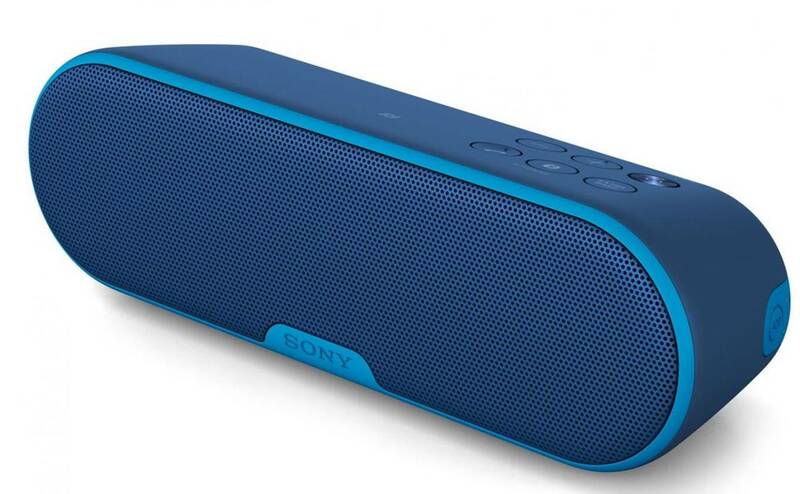 Overall, the Sony XB40 is an easy-to-use and portable speaker with many useful features. 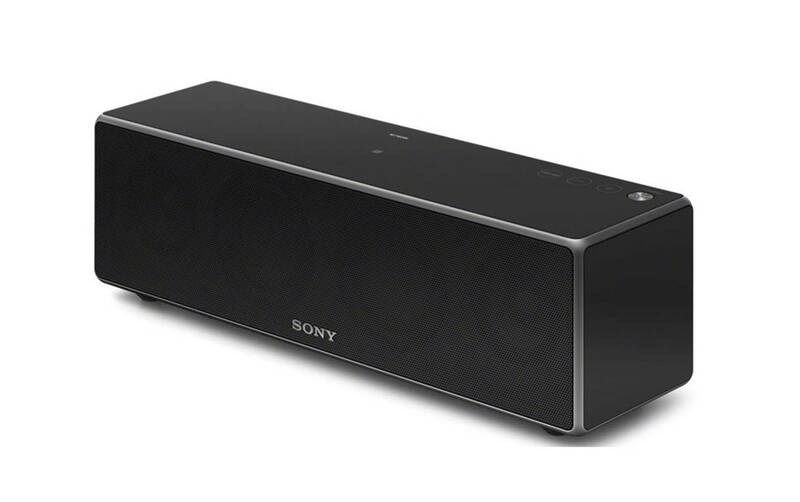 The Sony SRSZR7 is a high resolution wireless speaker that features multiple options to stream your music. It provides various streaming options with Wi-Fi, Bluetooth and Google Cast and they are all easy to pair with your device. The speaker has Hi-Res Audio support that lets you enjoy your music in higher quality than MP3s and even CDs. It is also possible to enjoy Hi-Res Audio playback via USB.I f you want to have stereo sound, it is possible to pair two ZR7 speakers. In addition to that, you can pair two ZR7 speakers to a compatible Sony sound bar and enjoy wireless surround sound experience for movies and TV shows. Apart from wireless Bluetooth streaming, you can also use the ZR7 speakers as front stereo speakers with your TV, and supports hi-resolution audio playback via USB connection. The ZR7 supports streaming options with Wi-Fi, Bluetooth and Google Cast. We liked the Sony multi-room technology which allows you to enjoy music throughout your home, by grouping selected Sony soundbars and speakers together and controling the multiroom and streaming options through the SongPal app. The SongPal also allows you to access your favorite tracks, whether they’re stored on your PC, server or online music service and it can additionally be used to customize sound settings to ensure balanced audio. Overall, the Sony SRSZR7 is a portable wireless speaker with premium audio quality that can satisfy even the most demanding users with its variety of streaming options. 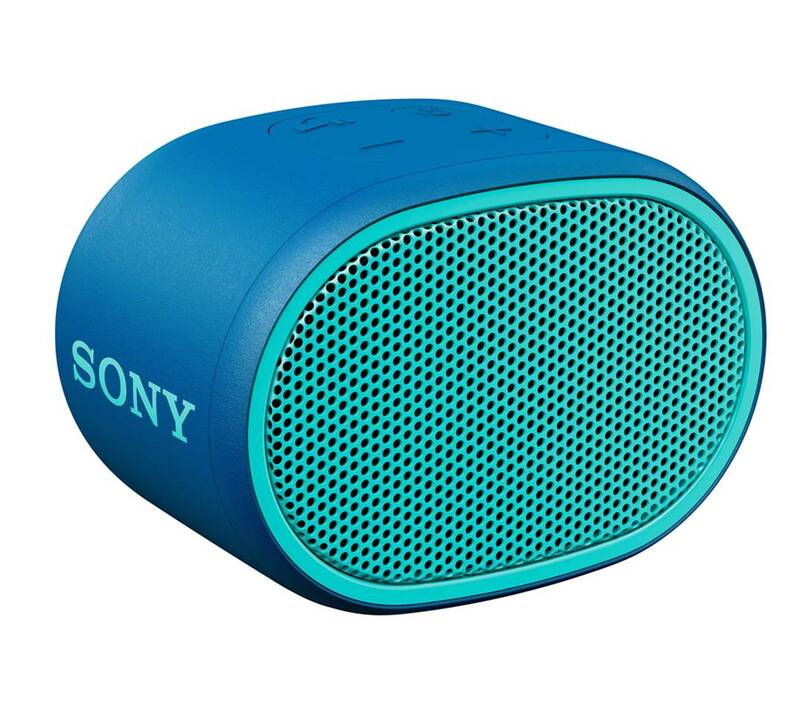 The Sony SRSXB2 is a portable wireless speaker that comes in plain light blue color and allows you to stream sound easily wherever you go. It features a splash-proof and water-resistant design that allows you to carry the speaker around to pool parties or outdoor spaces. You can connect it to your smartphone, tablet or computer through Bluetooth connectivity or NFC. It has lightweight design and its compact size allows it to be carried everywhere as it is both suitable for indoors and outdoors. Its sound performance is also made to be enjoyed equally whether you are partying indoors or outdoors. The sound quality of the Sony SRSXB2 is crystal clear, with crisp highs, detailed midranges and decent bass that feels punchy. It has long battery life, as it can run continuously for 12 hours on a single charge. In terms of sound quality, its “extra bass” technology delivers powerful, clear bass despite its size, resulting in full, deep, resonating sound. Its design is minimalist but beautiful and it demonstrates sturdy build quality. It is also very easy to set it up, pair it with your device and use it. 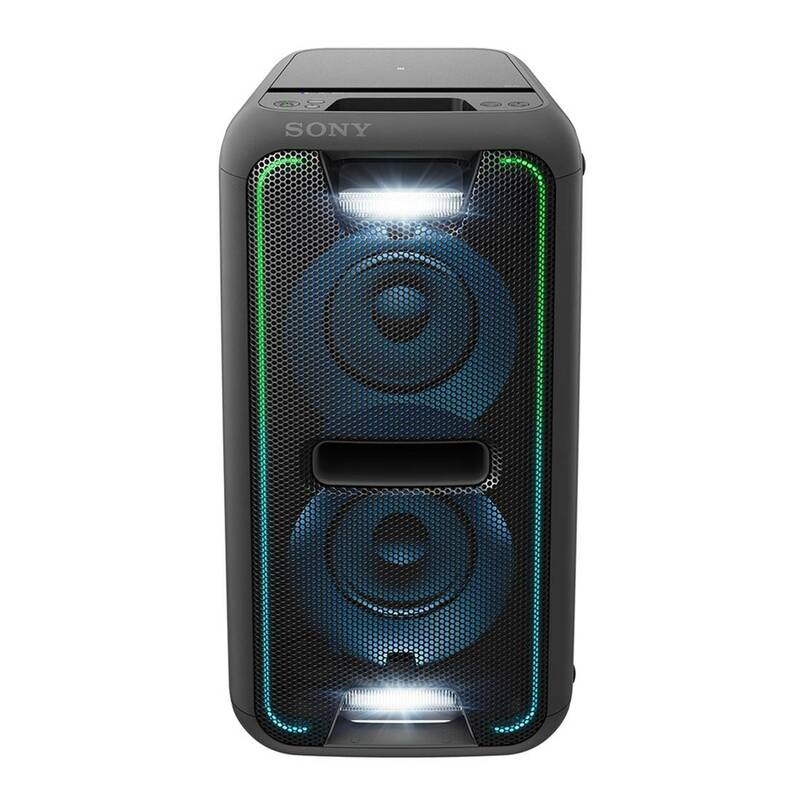 Overall, the Sony SRSXB2 is a compact speaker that can deliver adequate volume output in order to party everywhere and it is particularly good at reproducing bass heavy music genres such as EDM and Hip-Hop. 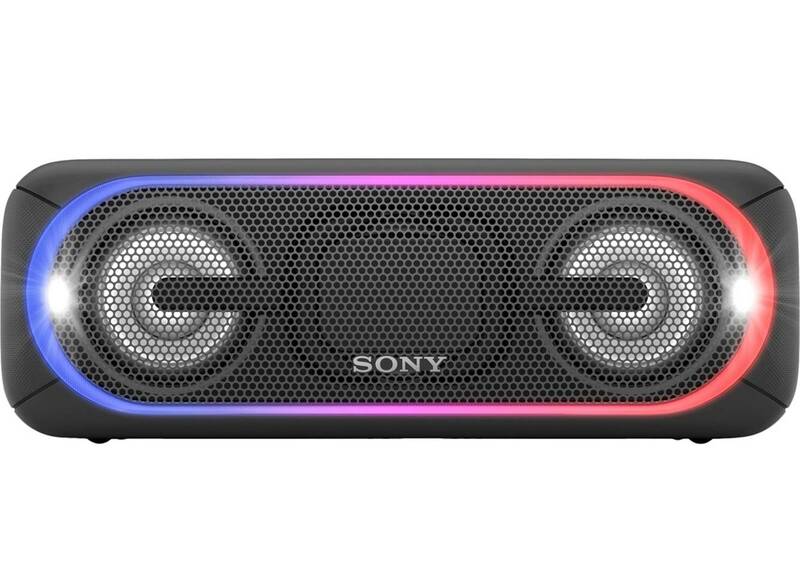 Overall, the Sony SRSXB2 is an excellent Bluetooth speaker that’s great for outdoor parties and events with loud sound output, and we highly recommend them. The Sony GTKXB7BC is a high power home audio system that features both Bluetooth and NFC connectivity for easy pairing with your device. Its “extra bass” technology delivers powerful, clear bass sound despite its size. It is easy to use as you can plug and play with your favorite devices via USB. It features LED speaker illumination and the LED light speakers feature multicolor patterns, ranging from pure white to rainbow that synchronize with the rhythm of the beat. A flexible two-way design allows you to set it up horizontally or flip it upright and a built-in sensor optimizes how sound is processed to stereo sound, whichever setup you choose. Using its Party Chain technology, you can connect multiple stereos in a chain that can sync together for a higher sound output. You can activate one device to be the ‘Party Host’ and sync music with the other systems in the chain, allowing you to fill bigger spaces with music. You can also hook up to the speaker a TV, speaker or other audio-video equipment with audio input/output to give your home entertainment an audio boost. An AC cord, batteries (AAA), and a remote control are included in the package. The Sony SRSHG1 is a high resolution wireless speaker that is capable of delivering premium quality sound. Its High-Resolution Audio support plays music in higher quality than MP3s or CDs. Its “extra bass” technology can boost the low end, delivering deep and full sound despite its compact size. Its lightweight and portable design allows it to be carried everywhere and it is made to deliver great sound quality both indoors and outdoors. It comes in charcoal black color, featuring simple but beautiful design and it is made with high quality materials that ensure sturdy build quality and durability. The sound performance of the Sony SRSHG1 is crisp and deep, and delivers low-end notes with vibrant sound details and effects. The battery life is quite long, allowing it to play continuously for up to 12 hours on a single charge. It is easy to connect with your smartphone, tablet or any smart device using NFC or Bluetooth connectivity. The SongPal app is available to control the speaker and access your music collection through your device over Bluetooth or Wi-Fi. Additionally, SongPal can be used to customize sound settings to ensure balanced audio and control multi-room listening. Overall, the Sony SRSHG1 is a powerful speaker that is suitable for audiophiles that want to enjoy premium sound quality on the go.